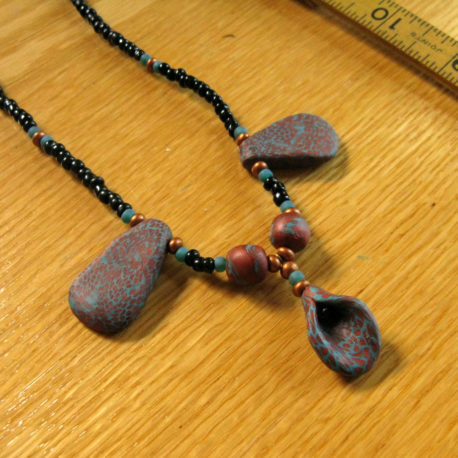 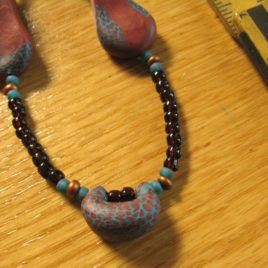 The focal beads in this necklace are made from polymer clay in turquoise and rusty red. 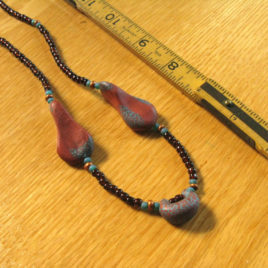 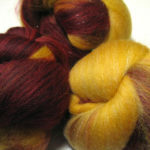 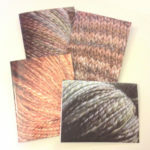 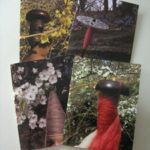 They feature a lively, swirling pattern that evokes a feeling of movement. 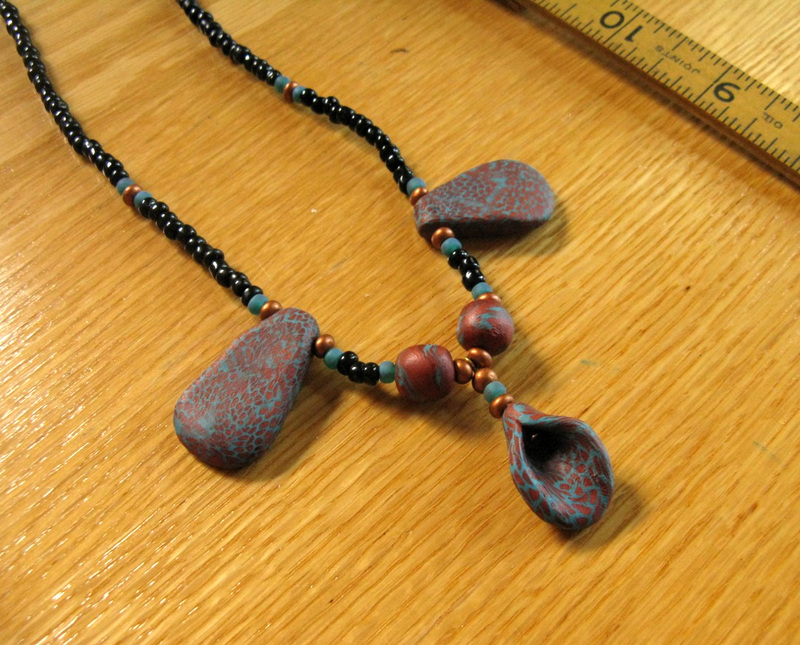 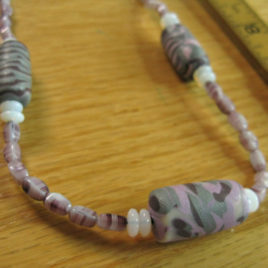 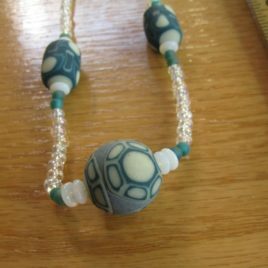 The polymer clay beads in this necklace are accented with glass beads in black, teal, and copper. 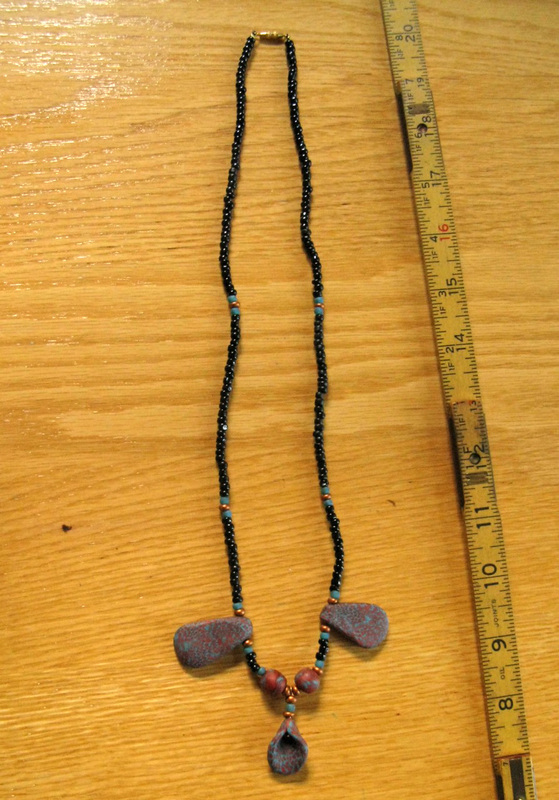 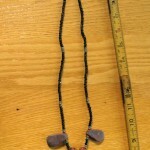 This necklace is approximately 25″ long.